HTC has finally launched the much awaited HTC ChaCha in India. The handset has been launched in association with TATA DOCOMO which will be offering exclusive plans with the new smart phone. The new HTC ChaCha will be available at a Market Operating Price of Rs. 15,990/- at all authorized HTC resellers across the country. 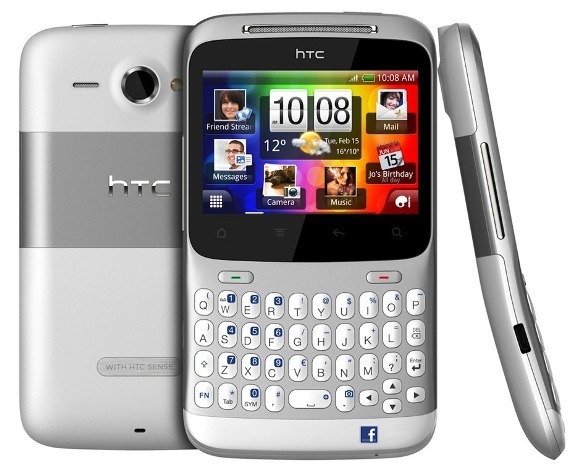 The ChaCha is the one of the two (HTC Salsa) Facebook phones manufactured by HTC and is the first candy-bar design QWERTY handset by HTC. It features a dedicated Facebook button that allows you to share just about anything at a single touch. The one-touch access to Facebook service has been integrated throughout the HTC Sense experience. In addition to the full QWERTY keyboard experience, the handset has a 2.6 inch capacitive touch screen. “At HTC, we have always strived to take mobility experience to newer levels and add multi dimensions to our devices. Featuring a dedicated Facebook button and one-touch Facebook access, the HTC ChaCha aims to make it simpler and convenient for its users to share and connect through their favourite social networking site,” said Faisal Siddiqui, Country Manager, HTC India. “We are extremely pleased to launch the HTC ChaCha in India with Tata DOCOMO, and are positive that this social smartphone will garner a favourable response from Indian mobile phone users,” he added. TATA DOCOMO is offering a bundle plan in which, DOCOMO 3G prepaid customers can avail 3GB free data valid for a period of 90 days whereas 1GB free data is offered free each month to post-paid customers across all 3G circles valid for 90 days. All 3G customers will also get 3 hour of free Mobile TV that includes data access charges valid for 90 days. While Tata DOCOMO 2G prepaid customers can avail 3GB free data and 300 Tata to Tata local calling valid for a period of 90 days whereas 1GB free data and 100 minutes Tata to Tata calling is offered free each month for 3 months to post-paid customers across all 2G circles.